Osheaga 2017 was a social media haven! 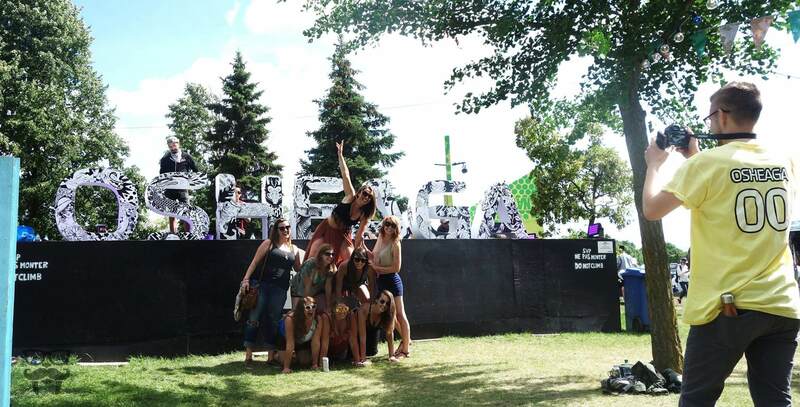 From various sponsored brand activations, to the festival’s own social media activation, there were tons of opportunities for people to create great pictures and tweets for #Osheaga2017. Throughout the 3-day event, there were tens of thousands of social media posts dedicated to the festival. Let’s be real, there are so many performances during music festivals that taking a break to hang out in the sun is also quite a popular festival activity. Attendees have the right to be picky and wait for their favorite artists! It’s in those prime moments where Wallrus aimed to engage as well as entertain festival goers. A simple, but effective, way to keep people engaged was to run our Social Wall in between artists’ performances and on empty stages while guests were walking from one show to another. We strategically made use of vacant screens dispersed around the venue – mainly on pathways and near entrances/exits – to transform the passive walking around part of the festival experience into an interactive social media experience. Social Walls are not just about replicating a boring social media feed. To create a seamless experience for users, you need the right mix of information, visual and social content that stays in line with the event’s branding scheme. Throughout the festival, we leveraged the festival’s mascots – Oshee & Aga – in multiple layout designs. 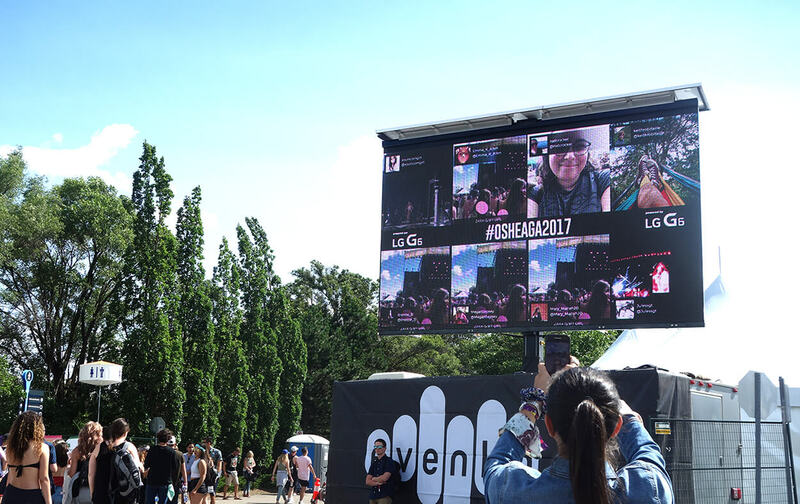 From the #Osheaga2017 call-to-action to live show announcements, every element that was displayed was harmoniously integrated for all of it to be part of one great brand experience. An interesting challenge for event design is making giant screens part of the whole experience and not just have them look like awkward giant TVs. 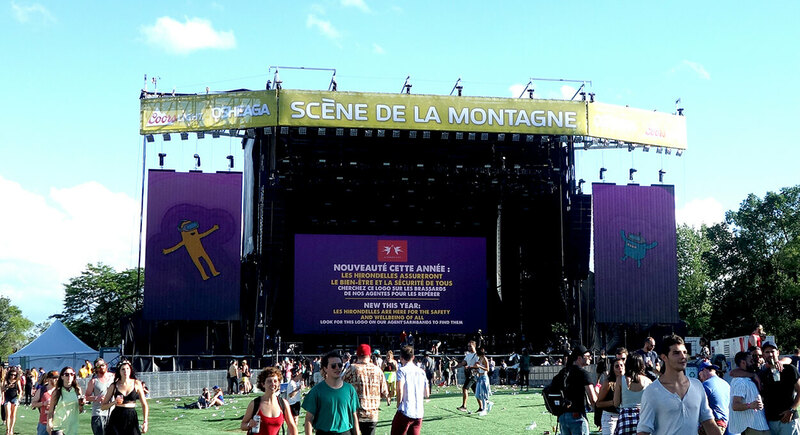 Osheaga put great consideration in designing fabulous animations for their displays. Collaborating with our team, we integrated the animations so they would fit in multiple displays to create a seamless design from one screen to another. The most captivating designs began from a middle, horizontal LED display and were extended to outer vertical displays. We don’t want to brag… but it looked awesome! Collaborating with Osheaga allowed some of the best designers and tech teams to get together and create wonderful displays. Overall, Osheaga + Wallrus was quite a hit! 135,000 attendees who had the time of their lives! People really resonate with the sharing community. Not only did they build genuine connections and friendships in person, but also through social media! 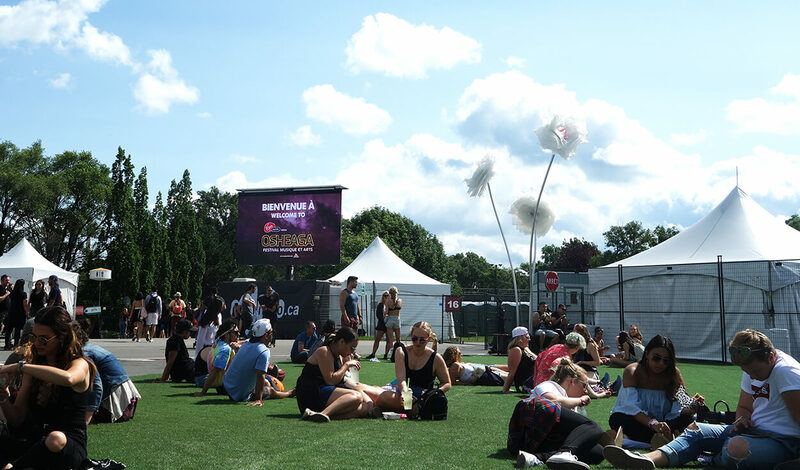 This is mainly because Osheaga’s attendees were all part of one big music-lover community. And what’s great about making social media an active part of the festival is that the community just keeps on growing – even though the festival has ended. We can’t wait to see how many more people will join the community next year!